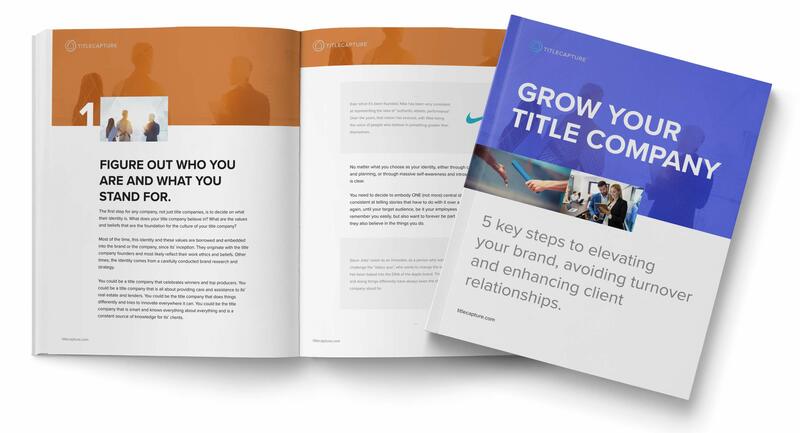 Download the FREE PDF guide and take your title company's growth to the next level. Only a small handful of title companies have mastered the art of building a great brand and offering amazing customer experiences that have the power to elevate their client relations. This guide will shed some light on what you need to do so you can also be part of this elite group of successful title companies.